This unique consortium is coordinated by Dr. Bart van der Burg of BioDetection Systems B.V., The Netherlands (BDS), and consists of 16 partners from 10 different European countries, including research institutes and 12 different companies that are leaders in biobased economies. FUNGUSCHAIN will make use of new cascading processes to extract high value molecules from the fungal residue following the requirements of a range of end-users. A first extraction will yield antimicrobials & antioxidants, proteins, polyols and polysaccharides. Further processing will complete the value chain for delivering cleaning, food and plastic products. 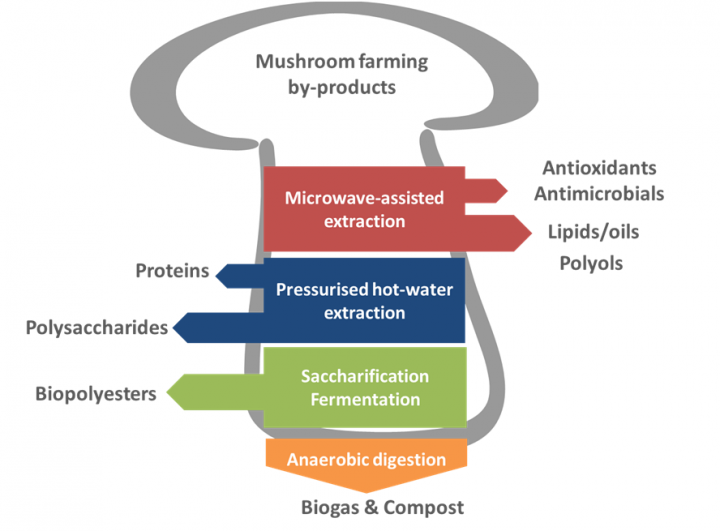 The remaining residues will be used for composting or biogas synthesis, thus closing the agricultural cycle. 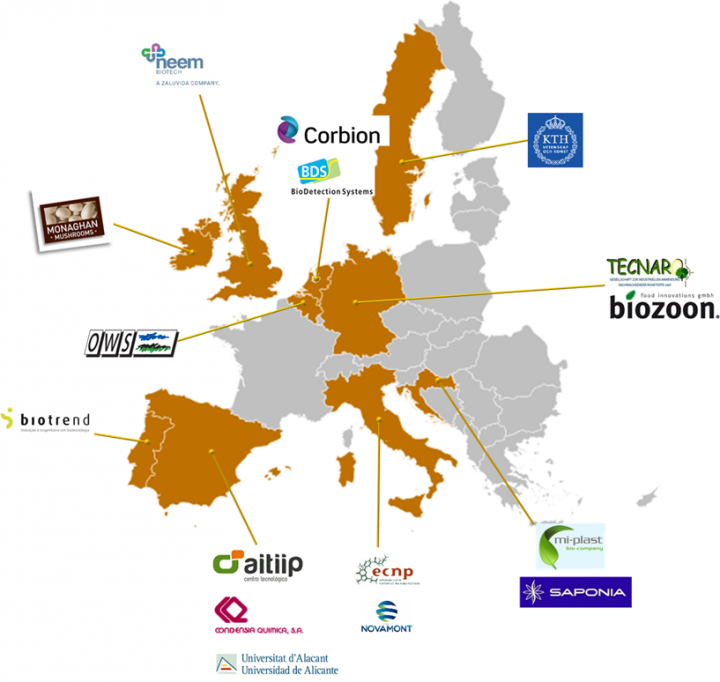 The partners participating in the consortium are the following: 4 large industries (Corbion, Novamont, S.p.A, Monaghan Mushrooms Group, Saponia d. d.) 8 SMEs (BioDetection Systems BV, Biotrend SA, Biozoon GmbH, Condensia Química SA, Mi-Plast d.o.o., Neem Biotech Ltd., OWS, Tecnaro Gesellschaft zur Industriellen Anwendung Nachwachsender Rohstoffe Gmbh) and 4 research and technology development entities (AITIIP Technology Centre, European Centre for Nanostructured Polymers, University of Alicante and KTH Royal Institute of Technology).